Ralph Ziman est né à Johannesbourg (Afrique du Sud) en 1963. Il a travaillé pour la télévision sud-africaine avant de gagner l’Angleterre, dans les années 80. Il y fait du montage et devient une star du video clip, obtient plusieurs « MTV awards ». Son premier long métrage, « Hearts and Minds » (1996) raconte la fin de l’apartheid (Festivals de Berlin, Montreal). C’est le premier film qui évoque l’après-apartheid. Son second film, « The Zookeeper » (2001), se déroule en Europe de l’est, dans un monde futuriste. Il fut remarqué dans divers festivals et distribué en salle en Europe, en Australie, en Nouvelle Zélande, en Russie et en Inde. Il vit aujourd’hui à Los Angeles avec sa femme et ses enfants. Ralph Ziman nasce nel 1963 a Johannesburg, in Sudafrica. Terminati gli studi lavora come operatore per la South African Broadcasting Corporation. Nel 1984 si trasferisce nel Regno Unito. Attualmente vive con la famiglia a Los Angeles. Lavora inizialmente alla realizzazione di video musicali, dirigendone oltre 400 e vincendo numerosi premi. Presentato ai Festival di Berlino e di Montreal nel 1995, la sua opera prima, Hearts and minds, è il primo film indipendente realizzato dopo la fine dell’Apartheid. The Zookeeper, il suo secondo lavoro, diventa una pièce teatrale di successo, messa in scena in teatri di tutto il mondo. Ralph Ziman was born in Johannesburg, South Africa in 1963. After completing school Ralph worked as a news and documentary cameraman for the South African Broadcasting Corporation. His work included television coverage of unfolding news events, shot on both film and video. In the early 1980’s Ralph moved to the United Kingdom, securing a job as a film editor. He was soon drawn into the exiting, innovative and burgeoning world of music video, rapidly establishing himself as a top director. Ralph has directed over 400 videos for artists as diverse as Ozzy Osbourne, Elton John, Faith No More, Vanessa Williams, Toni Braxton, Rod Stewart, Michael Jackson, Shania Twain, Rick James, Iron Maiden, Maxi Priest, BAD, Fine Young Cannibals, Donna Summer, Living Color, The Commodores, Alice Cooper, Mango Groove and Chicago to name a few. He has won wide acclaim for his visual flair and originality of vision, including numerous MTV awards. Ralph’s first feature film is « Hearts and Minds. 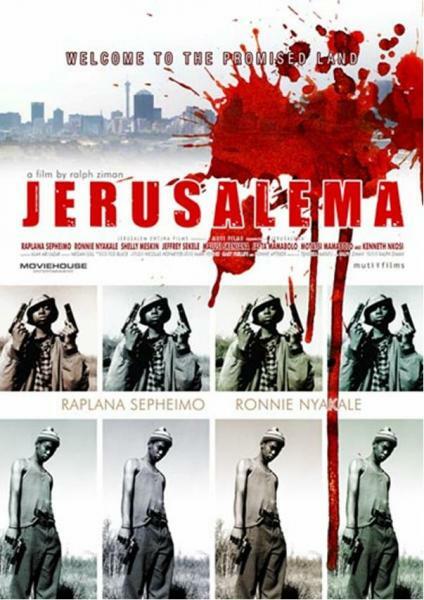 » It is a critically acclaimed and award winning thriller dealing with the end of apartheid. Shot during South Africa’s period of transition, it draws on the real events of that time. It was called « Remarkable? » by Variety. Ralph wrote, directed and produced the film. « Hearts and Minds » was the first independent South African feature film to be completed after the fall of apartheid and it was premiered at the Berlin and Montreal International Film Festivals. Ralph’s second film is « The Zookeeper ». Set in contemporary Eastern Europe it tells the story of a lonely Zookeeper who stays behind to look after his animals, as his city descends into a brutal civil war and a cold winter draws in. Written and directed by Ralph Ziman the film stars Sam Neill (Jurassic Park, The Piano), Gina McKee (Wonderland, Croupier, Notting Hill), Om Puri (City Of Joy, My Son The Fanatic) and Ulrich Thomsen (Celebration). The film premiered at the Toronto International Film Festival. It won best film at Taos Talking Pictures Festival, best film and best actor at the Fort Lauderdale International Film festival and best picture at the Pensacola Bay International Film Festival. The film was released theatrically in Europe, Australia, New Zealand, Russia and India. Ralph is currently working as a writer, both on his own projects and for hire. He lives in Los Angeles with his wife and three children.